Youth volunteers with Global Peace Foundation (GPF) India enthusiastically give their time, energy and smiling faces to encourage community bonding through grassroots service and leadership training. Inspired by the vision of One Family under God, these volunteers have participated in interfaith workshops and exercises to bridge backgrounds for the common goal of building peaceful communities. 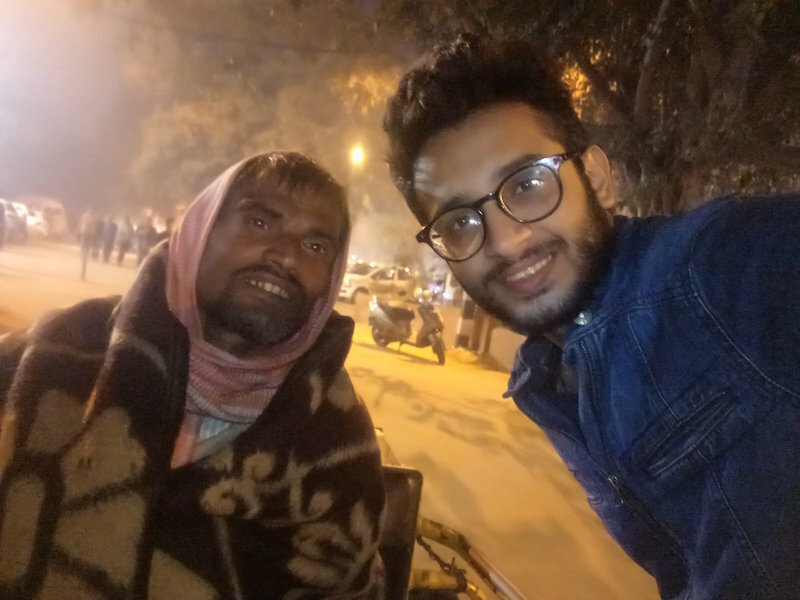 GPF India Intern, Mehul Bhatia, struck up a conversation with a disabled man near a temple. Right beside the temple gate, covered in blankets and cloths, was a man with weary yet gleaming eyes sitting in a wheelchair. Stretching out his hand, he reached out for the remaining alms, sparking a joyous smile through the oblivion of his future. I couldn’t help but smile knowing that 2 rupees coin can bring such joy to someone. “There must be some story behind him,” I thought as I looked at him in amazement. “My name is Narsimha,” said the crippled old man who kept his recent earnings in a basket. Unsure at first and then suddenly I asked, “Tell me something about yourself.” Not even a bit hesitant, he whole-heartedly shared his life story. “I worked in a steel factory when I was a teenager. I must have been 17 or 18 when I had a welding machine pierce right through my left leg, leaving me a liability for life. Becoming handicapped makes your life a living hell, especially if you are the sole bread earner for your family. The only option for me was to resort to begging, and send all the money I got for the treatment of my ailing father. Life becomes an unbearable challenge, looking to devour you,” he said with a laugh, still busy counting his day’s earnings. 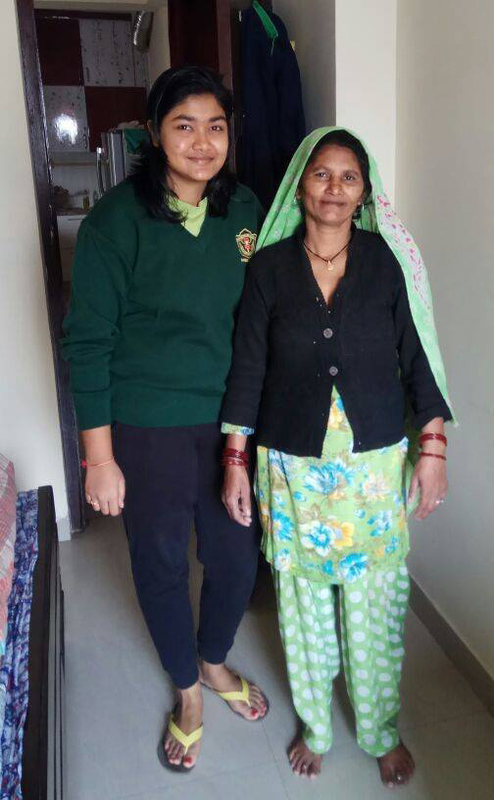 Vidhi Singh reached out to her househelp. I called up the cleaning lady inside my house after she had cleaned all the floors. She was scared, thinking she had made some mistake. She came inside and began to sit on the floor and I stopped her and asked her to sit on the chair. This surprised her but made her happy. She lives in a basti (slum) nearby and has 4 members in her family. Even though her older sons do not go to school, the mother sends her daughter to study at a nearby school, which is something I appreciate about her. Her husband has a habit of gambling, leaving the whole weight of providing income to the lady who has to come to the building every morning at 7 a.m. and work until 5 p.m. The people have a peculiar attitude towards her and drop the garbage bag outside their houses randomly despite her schedule to pick them up at 9 a.m. everyday. They do not care and when it is not picked up, they quickly rush towards the maintenance office to complain about her. There have been long protests by these workers who haven’t been paid their monthly income for the past 2 months now. Everyday, they are promised to receive their income but still they wait. As she continued her story, my mother offered her tea and some biscuits and she was overwhelmed, happy to receive such a treatment. She told us that even if a person like her tried to work and earn a living, the mere caste identities and the indifferent attitude of the people towards her job make her feel lonely and outcast. Without people like her helping us everyday in our daily activities, life would come to a standstill and yet they experience so much disrespect. After my mother offered an advance to help with her expenses, the lady was relieved and thanked both of us for inviting her to the house and offering kindness and a listening ear. For me, the conversation provided a sense of satisfaction that even a little of my time could make someone happy and gave her hope to keep fighting. Sign up for monthly newsletters and get all the latest on how Global Peace Foundation volunteers are bringing communities together as one family around the world.